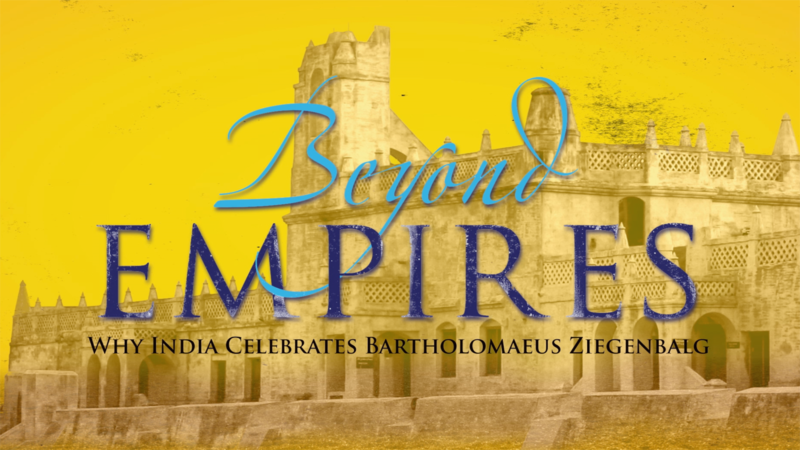 Chris’s documentary subtitled, Why India celebrates Bartholomaeus Ziegenbalg, was featured at the launch of a new museum in Tharangambadi, in the state of Tamil Nadu on Friday, August 14, 2015. The Consul Generals of Germany and Denmark joined Indian leaders at the event to mark the beginning of a collaborative project, which preserves the revered 150 year legacy of the Halle-Danish mission Ziegenbalg began in 1706. The Francke Foundation from Halle in Germany initiated the event and screening with the intention of returning to India many of the historic records and artifacts pertaining to the history of Tamil life and culture that have been in the foundation’s archives for more than 300 years.Jasmin Eppert of the Francke Foundation approached Chris for the use of the film as a permanent viewing item for visitors to the museum. Fittingly, the museum will use Ziegenbalg’s former home in the old port city of Tranquebar (now Tharangambadi) where he lived with his wife Dorothea during the final three years of his life. As Chris’s documentary portrays, Tamil Indians regard the German Pietist Lutherans sent by the Danish king as friends who helped them cast off the shackles of slavery to the East India companies (Danish and British), which were licensed by Indian royalty. The film can be purchased on DVD or BluRay for educational institutions here. Or for personal use here. It can also be rented online or purchased as a Quicktime file for personal use here. This entry was posted in This just in: by Christopher Gilbert. Bookmark the permalink. Lamp Post Media is jointly owned by Chris Gilbert & Jo Kadlecek, a husband and wife team who have pursued writing projects and digital film making since January 2000.